Looking to grow your business this year? If you are, you’ll need more enquiries that lead to more business, right? Looking for the next big thing? Sorry, I can’t help you. Looking for a quick fix? Sorry, I can’t help there either. This week we popped to see Edge of the Web in Warwick. 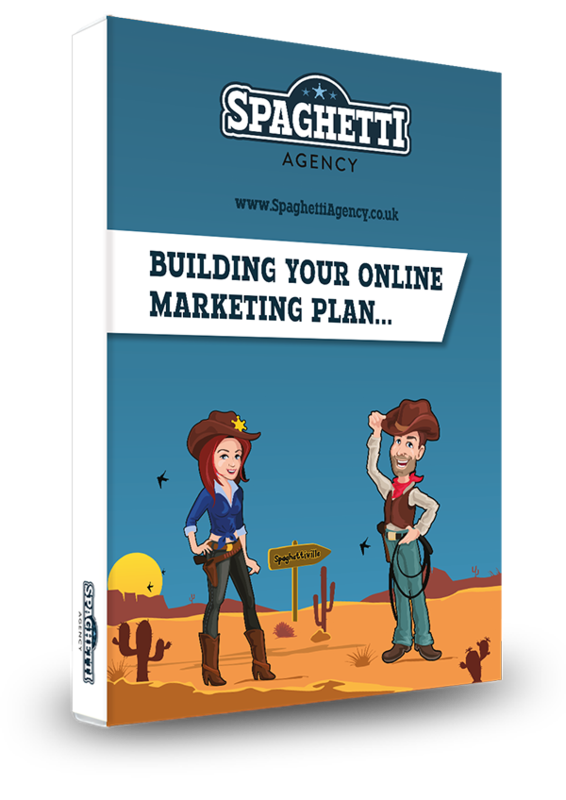 They built this site and created the Spaghetti Agency brand. They’re a big deal to us. “We need to strip out lots of the content” was what they said at the time. Initially I was concerned and not really into the idea as the SEO for the old site had been worked on, and the content and sheer volume of it was helping us. But, as Edge pointed out, this blog is updated regularly and that adds 1000s of words to the site every week or fortnight. 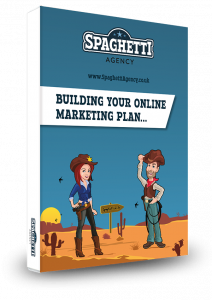 This blog is the reason we get so many enquiries and new business from people we’ve never met. It’s also the reason we get business from people who’ve known us for ages – even since before we had a business! But it’s not from direct contact from the blog and that’s what I wanted to talk about. Here’s the thing. Google hasn’t changed what it wants from your website for years. Google was created to organise the best content in one place so you could find it. So having a great blog with really helpful and informative content is the way forward, although this isn’t a quick fix. Blogging takes time, effort, ideas, and discipline. There are loads of things I could be doing right now. I could be invoicing clients, creating workshops, writing content for clients, or even faffing around on Facebook! But instead I’m talking to you via this blog. Blogging generates traffic for your site as it’s giving Google EXACTLY what it wants. You should do it more. Not only does our blog help Google to notice us so it ranks us well for people looking for social media training in Warwickshire or social media workshops, or content writers, it also give our lovely visitors something to look at and scroll through quickly when they arrive. I know this works from the countless conversations I’ve had over the years. Even if the person ‘checking us out’ has a pretty good idea who we are, they have a little peek around the blog. Build something for the stalkers to look at! This is huge and if you take just one thing from this blog then take this. When someone finds you online or in real life at a networking event, they’re not always ready to buy from you. So you have to work on being remembered. The reason I love blogs so much is that they’re the perfect tonic to this predicament. The blog on our website is used to keep those people who’ve shown an interest in us interested. We email it to our list. We post it on our Facebook Page. We share it in our Free Facebook group. We also re-market to people on Facebook who’ve been on our site or who are on our email list and those who’ve been active in the page or group content. This blog is our fuel for further conversation and it’s the perfect excuse to stay memorable without being annoying. We hope! This blog is emailed out to our list. (You can join them here.) Instead of only emailing our email list once a month or when we win some PR or a self-nominated award, we email useful and helpful content weekly. We stay in the social media streams and then we stay in the inboxes too. Show an interest in us and we’ll help you until you’re ready to work with us or refer us to others. Or consume our content forever for free… that’s fine too. We just post a blog each week and manage it all en mass! Sharing content on social media can be a bore at time and coming up with ideas and focus for your content can be tough. A good blog makes it a lot easier. As we share in our FREE digital marketing plan we share segments and sections of the blog on social media to create traffic for this blog or to simply create conversations and add value to our followers. Again, we don’t need to work harder, just post and share a blog a week. Looking to rank on Google? Then not only should you look to create loads of great content but you should work on building your link profile. Getting links from other websites (especially if they’re trusted and seen as a good site in Google’s eyes) is as really good practice and blogs like this helpful GDPR blog for small businesses do just that. Links to your site create more traffic but they also show Google you’re a good egg and then they’re more likely to push you up the results for the terms you’re trying to rank for (if you do it well). Not creating good content? Why would someone link to you? And then the blogs that go down well are turned into content like #ToddsTips on YouTube and also talks for networking meeting and paid talks I do at events across the UK. The blog is the hub of our marketing and it has been since before we even registered a business. Content… it’s still king and it always will be! The phrase content is king is never going away. Google exists to sort the best content from the plentiful dross out there. Be the best or at least aim to be and create great content that you can share with those who are interested in you or people who might be. Think about it: no one wakes up and thinks “Ooh, I wonder if so and so updated their about page last night?”. So you need to give them reason to come back to your site. 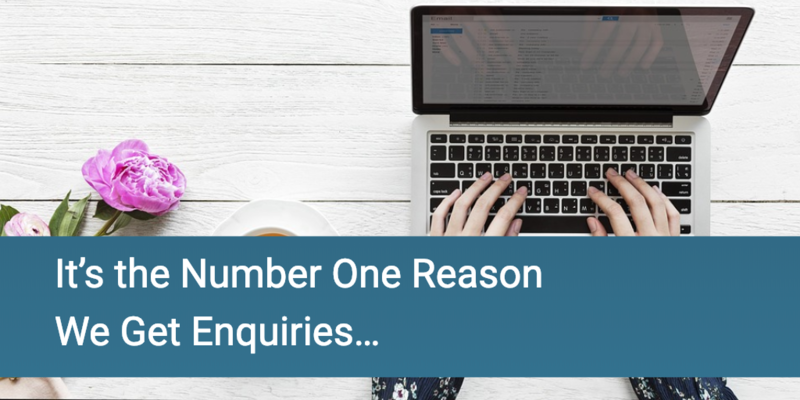 Blogging: It’s the number one reason we get enquiries. Convinced you should be blogging more? By sheer co-incidence (OK, not really) we can help with that. We write blogs for businesses like yours when people don’t have the time or headspace to do it themselves. Speak to us about our content packages. We work with a similar blogging strategy – share content regularly, keep it updated and relevant, and make it as accessible as possible. We then use it across all our communications in different segmented marketing automation. Thanks Steph. It’s amazing how many don’t, huh?